These are concerts not to be missed, with distinguished artists coming to Bromsgrove in programmes to appeal to a variety of musical interests. 2009 has anniversaries of four composers: Mendelssohn, Haydn, Handel and Purcell. The opening concert given by the English Symphony Orchestra, conducted by Adrian Partington, celebrates the birth of Mendelssohn 200 years ago. It includes the beautiful Violin Concerto in E minor with Dunja Lavrova as the soloist. Works by Purcell and Handel, whose deaths occurred 350 and 250 years ago, feature with the Saraband Consort in Grafton Manor Chapel. This is an ideal setting for some of the period instruments used by this group. We hope the weather will be kind as the gardens are open an hour before the concert. Housman was born 150 years ago and on May 1 the programme A Shropshire Lad includes readings, musical settings and reflections of his poems. 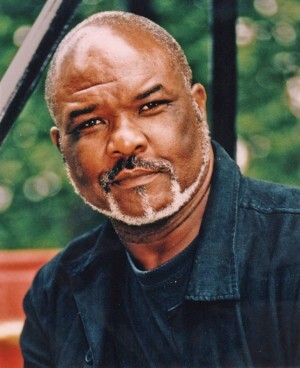 The following evening sees the return of Sir Willard White, whose wonderful voice is so suited to remembering Paul Robeson. Emma Johnson, Natalie Clein and John Lenehan at the New Guesten Hall offer a break from our anniversary celebrations with the music of Brahms, Ireland and Bridge. And jazz is not forgotten, as Kenny Ball returns to Bromsgrove after 18 years on May 8. The final concert recognises the anniversaries of Haydn and Handel with an Organ Concerto, Music for the Royal Fireworks and Coronation Anthems. This popular orchestral and choral programme also includes the Mozart Mass in C and will end with the audience standing to sing Parry’s Jerusalem. Do not forget the 29th International Young Musicians Platform, commencing on April 30 with the final concert on the evening of May 3. Whilst tickets are sold for this exciting final, at the early rounds admission is free and an audience is welcome. The variety of instruments used, including voice, and the high standard for entrants makes the early rounds fascinating. The Festival also has a Fringe, with local pubs featuring a variety of music. Bromsgrove Folk Club, plus guests, appear on two occasions at the Catshill Club. On May 9, Trigger will perform in an exciting show at Artrix, along with special guests.